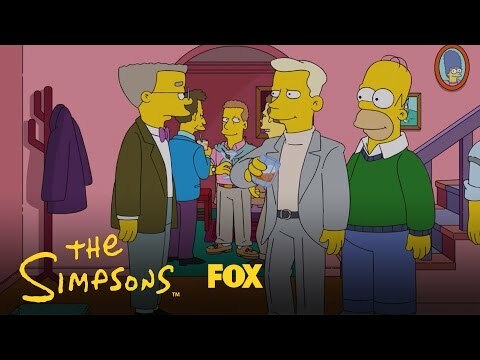 The Simpsons is arguably not only the most iconic show of modern television, but the most culturally impactful as well. Everything has been referenced b,y and in turn references, The Simpsons. The Fox animated sitcom is an icon that defines pretty much two entire generations and over the decades has become a cultural institution. As such, there's so much material that there's now way you can know everything about the show, though this list of Simpsons trivia, behind the scenes facts, and Simpsons Easter eggs will certainly help you get there! Without The Simpsons there would be no South Park or Family Guy, and certainly no Futurama. The Simpsons made the adult cartoon the staple of entertainment it is today. With over 550 episodes, more than 600 guest stars, and countless recurring characters, there are plenty of facts you may not know about the series to dig up. Who was supposed to be Krusty the Clown? Which character forms his own separate movie when cut together? Which Simpsons guest stars have played both themselves and other characters? How long does one episode take to animate? Learn about all this and more, and be sure to vote up the most interesting Simpsons trivia you were surprised to learn! In 2016, The Simpsons finally acknowledged the widely-believed rumor that Mr. Smithers is gay. The sexuality of Mr. Burns's loyal assistant wasn't much a secret before, but "The Burns Cage," finally gave audiences the confirmation they'd been waiting for. In the episode, Mr. Smithers finally accepts that his love for Burns will never be reciprocated. Homer later helps him search for real love. The writer of the episode, Rob LaZebnik, said the episode was inspired by his own gay son. “I am a Midwestern guy, so I don’t tend to wear my emotions on my sleeve,” LaZebnik told the New York Post. “But I thought, ‘What better way to tell my son I love him than to write a cartoon about it?’” LaZebnik's son came out as a teenager, and both his parents were accepting and loving. As in most cartoons, the characters have only four digits on each hand - except God, who always has five. In 1992’s "Lisa the Greek," Lisa, angry at Homer for tricking her into helping him gamble on football, makes a bet that if she loves him, the winner of the Super Bowl will be The Washington Redskins and if she doesn't The Buffalo Bills will come out on top (Washington won). When the show premiered, just before the Super Bowl, those two teams were actually squaring off in Superbowl XXVI and Washington came out on top 37-24. Over the next three years Fox made it a tradition to air the episode just before the Super Bowl and change the dialogue so that the teams would include the two teams that were playing that year. According to the DVD commentary, Lisa accurately picked the winning team every single year. TomTom hired Dan Castellaneta in 2009 to record directions for a Homer voice that customers could download for their GPS devices. At one point, Homer’s voice was downloaded 128,500 times in the US alone, which accounts for more than 40% of GPS devices in the world.